There is a scene in the Coen brothers’ latest film, “Hail, Caesar!,” where a movie exec has a meeting with four clergymen of different denominations to see if any of them takes issue with how Christ is portrayed in one of their upcoming films. It’s one of the funnier scenes in the movie; it’s also why most Biblical retellings reek of focus groups and compromise, because the last thing a studio wants is to be perceived as insensitive when it comes to religion. “Risen” manages to avoid those trappings by doing the simplest thing: it focuses on one specific event – the Resurrection, along with the subsequent two weeks or so – and in the process sets a ceiling on the audience’s expectations. This sounds like damning with faint praise, but it turns out to be a very shrewd move. 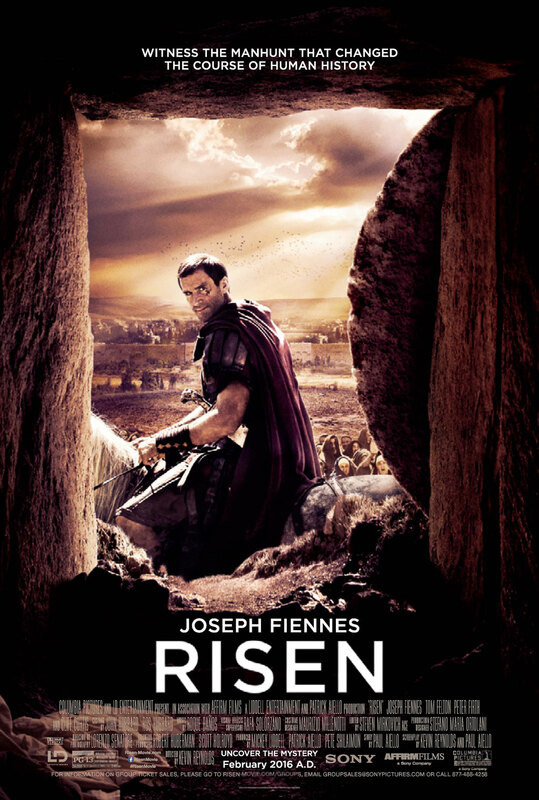 Clavius (Joseph Fiennes) is an ambitious, ruthless commander in the Roman army battalion stationed in the Judean Desert. He spends most of his days battling resistance fighters, while overseeing the occasional crucifixion. One day, Clavius is giving the final orders that will put three recently crucified men out of their misery, but one of them, whom the onlookers refer to as the King of Nazarene, does not scream in pain or beg for mercy. Clavius’ men kill him and, at the suggestion of a local Hebrew leader, lock him in a tomb, with Romans standing guard. The guards are there to prevent the locals from moving the body and later claiming that it was the work of God, as predicted in the prophecy. The locals don’t move the body; they never had the opportunity. The king (Cliff Curtis), referred to as Yeshua by his people, is gone from the tomb, something that greatly displeases Clavius’ superior Pilate (Peter Firth), who does not want the religious fervor already sweeping the area to boil over. Clavius is tasked with solving the mystery of the missing king, but he has decidedly mixed feelings about why he’s doing it. He knew something wasn’t right about how Yeshua handled his punishment, and to hear those devoted to the king sing his praises, Clavius begins to second-guess everything he stands for. The second-guessing would only get stranger from there.